A CNC drilling machine is one type of several computer numerical controlled machines used to fabricate parts and components made of different materials. Similar to a robot, this machine drills material based on a computer code that a skilled operator enters into a computer. By following the instructions provided, the CNC drilling process produces what the customer orders and to exact specifications. The drilling operation on a CNC drilling machine is a cutting process. Using a unique drill bit, holes of a circular cross-section get cut into the workpiece. In most instances, the bit is a rotary cutting tool with multiple points. As the drill bit presses against the workpiece, it rotates at high speeds that range between hundreds and thousands of revolutions per minute. The outcome is precision-drilled holes that benefit many industries and for a multitude of applications. For the CNC drilling process to do what it needs to do, it follows instructions written in a computer language. As for drilling, most operators enter either a G or M code. Of the two, the G code is often considered the best. It is important to note that there are several variants of this language that primarily revolve around tool offsets. However, CAD software, including AutoCAD, PTC, and others, all output G codes that work with most CNC controllers. As you can see, there is a definite learning curve when it comes to the various codes used for a drilling operation on a CNC machine. For this reason, top fabrication companies utilize the services of highly-trained, educated, and experienced professionals to ensure that any CNC machining, including drilling, gets performed to specific standards to ensure the customer’s 100 percent satisfaction with the finished part or component. 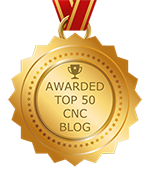 For all of your CNC machining needs, you can count on us at NexGen Machine. With more than four decades of experience, you have the assurance of getting the finished product that you need. You can learn about our company and services by visiting us online or scheduling an appointment by calling.